The Aldeburgh Museum is housed in the Moot Hall, one of the most important timber-framed public buildings in England. Dating from the first half of the 16th Century it originally contained six small shops on the ground floor and a spacious meeting chamber on the first floor. 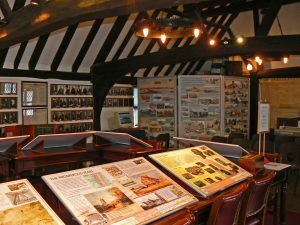 The Town Council still meets here today and it provides an attractive display area for the Museum. The Museum is closed from 1 November to 31 March.